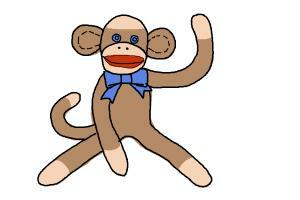 You're about to learn how to draw a cartoon monkey in seven steps! Using this free online cartoon-drawing tutorial, you'll have the skills of an artist in a matter of minutes. Follow along as the guided tutorial leads you through the steps of sketching, drawing, and coloring, in one easy lesson (try the special coloring page). Each given step will only move ahead when you press play, so it's a breeze to follow right along! 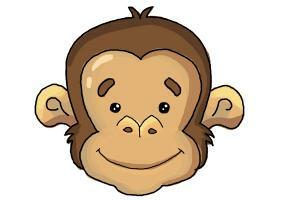 Did you know monkeys come in all different sizes? An adult pygmy marmoset weighs just five ounces, while an adult mandrill can weigh up to seventy-five pounds!